Last year I read and enjoyed Jenn Bennett's Alex, Approximately, so of course when I discovered Starry Eyes, I couldn't wait to check it out! I was even more excited when I read the summary for the book and it was described as a modern day Californian version of the Montagues and Capulets. As if I wasn't curious enough before, I was even more so after reading that! I also really liked the characters in the book. I found the main character, Zorie, to be really relatable. She's a little on the nerdy side, which is so like me, AND, she looooves stars! (I, too, love looking at the stars and planets, and one day I hope to have a super awesome telescope just like hers.) Ahem, moving on. Lennon was super sweet as well. Their families were interesting as well, expect for one person, who definitely seemed to enjoy making everyone else pretty miserable. Ugh. Those people are the worst. 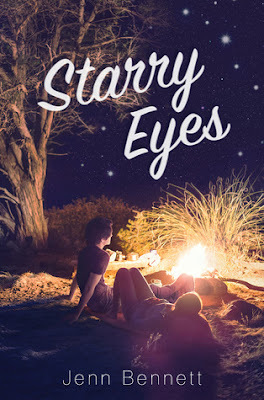 Overall; I think Jenn Bennett has another hit on her hands with Starry Eyes! I really enjoyed both the fun storyline and the interesting characters. They made for a really fun read, and I'll definitely be keeping my eye out for more books by her in the future! 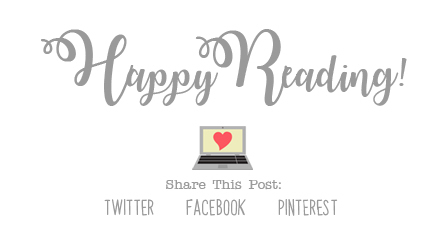 If you're a fan of contemporary novels, and haven't yet checked out a book by Jenn, you should totally do so! April 2018 Wrap Up & Book Haul!